Poison hemlock plant is one of those nasty weeds that no one wants in their garden. Every part of this noxious plant is poisonous, and its invasive nature makes it nearly impossible to control without chemicals. 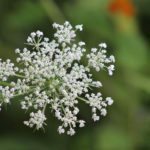 Let’s learn more about poison hemlock removal and the characteristics of the plant in this article. Thanks to the imagination of mystery and gothic novel writers, most of us have heard of poison hemlock. 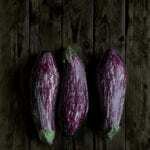 You may have seen it without realizing what it is because of its resemblance to cultivated plants and other weeds. 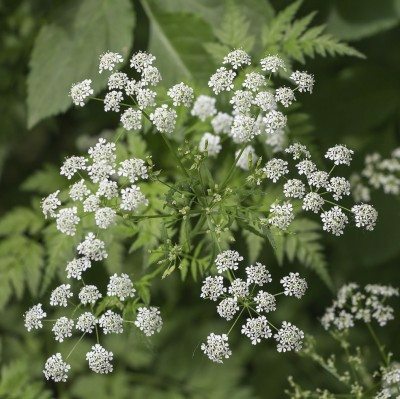 Poison hemlock (Conium maculatum) is a poisonous invasive weed that has caused many accidental deaths because of its resemblance to carrots, including the wild carrot (Queen Anne’s lace). The poisonous agents in the plant are volatile alkaloids, and they are found in every part of the plant. In addition to causing death when ingested, the plant also causes a miserable dermatitis in sensitive people upon contact with skin. Socrates drank the juice of this notorious plant to commit suicide, and ancient Greeks used it to poison their enemies and political prisoners. North American Natives dipped their arrowheads in hemlock to make sure every hit was fatal. Where Does Poison Hemlock Grow? Poison hemlock prefers disturbed areas where forest has been cleared. You may see it growing in livestock pastures, along roadways and railroads, in waste areas, along streambanks and near fence rows. All parts of the plant are poisonous to livestock and humans, and it only takes a small amount to poison horses and cattle. Poison hemlock look-alikes include both wild and cultivated carrots and parsnips. You can tell the difference between them because the tips of poison hemlock leaves are pointed while the tips of parsnip and carrot leaves are rounded. Upon close inspection, you may see purple splotches on hemlock stems, but never on carrot or parsnip stems. You can pull up small plants along with their long taproot if the soil is damp. 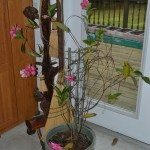 Kill larger plants by biological or chemical means. The hemlock moth (Agonopterix alstroemericana) is the only effective biological agent, and it is very expensive. The moth larvae feed on the leaves and defoliate the plant. 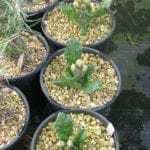 Control the weed chemically by spraying young sprouts with an herbicide such as glyphosate. That being said, chemicals should only be used as a last resort. Organic approaches are more environmentally friendly.